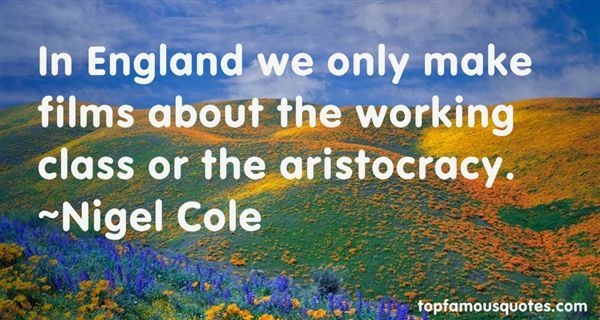 Reading and share top 9 Nigel Cole famous quotes and sayings. 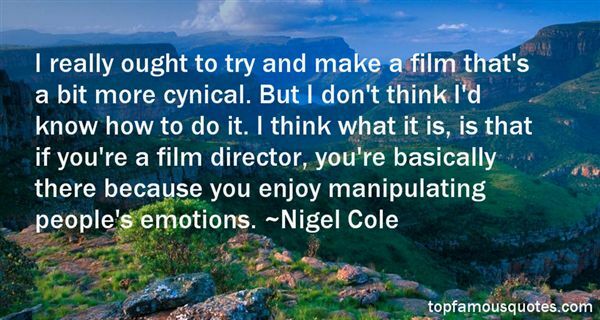 Browse top 9 most favorite famous quotes and sayings by Nigel Cole. No, that's not it. The first time we met was at Fat Tuesday's. Benny was playing, this was, I think in 1989?" What Did Nigel Cole Talk About?